Because of its ancient origins, many believe that Himalayan salts are the cleanest and purest salts and therefore, the most beneficial. For millions of years, Himalayan salt from northern Pakistan remained untouched. These salt deposits are the result of a sea that existed between 250 – 105 million years ago, which evaporated. Eventually, the salt deposits that remained were discovered. Due to their striking pink color, the unrefined salt was mined. Himalayan salt gets it distinct pink color from a pink microorganism that had lived in the sea where it originated. Therefore, Himalayans salt’s pink color is a sign that, in fact, it contains impurities. In an article published on TIME Health asking if pink Himalayan salt has benefits, it concludes that Himalayan salt is just a “prettier and more expensive” version of regular salt. A spectral analysis of Himalayan salt found that it contains over 84 trace elements which include calcium, copper, iron, and magnesium in low concentrations. However, our bodies do not need all 84 of these trace minerals. In fact, some of the listed elements include radium, plutonium, and uranium which are radioactive. Some of the other elements are classified as contaminants while known poisons such as mercury and lead also make the list. Himalayan salt is also widely used in Himalayan salt lamps which are also known to release negative ions, enhancing physical and emotional health. While Himalayan salts may not be as pure or as nutritionally beneficial as they are claimed to be, there are other uses they are great for. In fact, many people swear they breathe, sleep, and feel better thanks to salt therapy, salt lamps and Himalayan salt baths. A good soak in a warm bath where Himalayan salt was dissolved leaves people feeling energized and refreshed. And many who enter Himalayan salt caves say they leave in a better mood, relieved of stress and feeling happier. 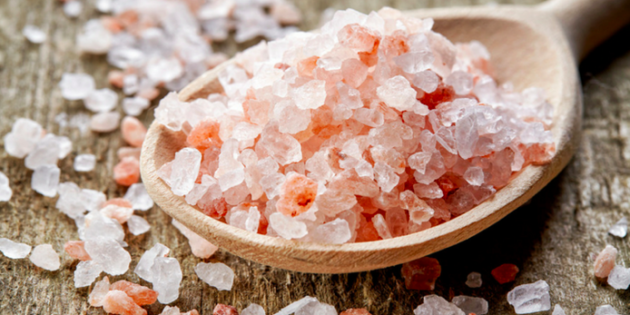 While there is no scientific evidence that Himalayan salt trace elements are beneficial for you, we can’t argue with how people feel after a salt soak or time spent relaxing in a salt cave. Many studies found associations between high salt intake and high blood pressure, stroke, cardiovascular events, and cardiovascular deaths, but they couldn’t determine precise causes. Salt intake of under 2.3 grams (2300 mg) per day can help us avoid these associations. But is there really a healthier salt? 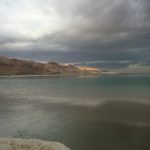 The best and cleanest salt of all impurities comes from the Dead Sea. 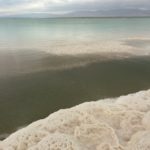 It is called The Dead Sea because its very high salinity levels (342 g/kg, or 34.2%), do not support live and no animals or plants can survive. The Dead Sea is Earth’s lowest elevation on land and was considered as one of the 7 wonders of the world. The mineral composition of this salt differs significantly from oceanic salt or any other salt without the less healthy trace elements found in Himalayan salt. 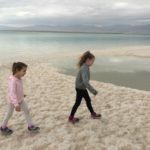 Allergies – Bromide and Magnesium in the Dead Sea salt may help relieve allergic reactions . As a salt for consumption, Dead Sea Salt is the one I recommend. I aim to go there with my family once every year for the health benefits. Pediatr Pulmonol. 2017 May;52(5):580-587. doi: 10.1002/ppul.23621. Epub 2016 Oct 10. Goel N, Terman M, Terman JS, Macchi MM, Stewart JW. Controlled trial of bright light and negative air ions for chronic depression. Psychol Med. 2005 Jul;35(7):945-55. “The Dead Sea” National Psoriasis Foundation. Ehrhardt, Proksch; Nissen, HP; Bremgartner, M; Urquhart, C. “Bathing in a magnesium-rich Dead Sea salt solution: follow-on review”. International Journal of Dermatology. 44 (2): 151–7. doi:10.1111/j.1365-4632.2005.02079.x. PMID 15689218.